It's been a relative quiet week since the block halving. The one thing to look forward to is Ethereum's hard fork which is scheduled for July 20th. Read Joon Ian's great writeup on the upcoming hard fork to learn more. Breakout Coin (BRK), Breakout Stake (BRX) and Sister Coin (SIS) are tokens that work together to power Breakout Chain, the industry's first multicurrency blockchain for gaming industry payments and rewards. 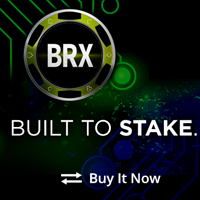 The Breakout Coin (BRK) is now trading on Bittrex, and a crowdfund sale for the Breakout Stake (BRX) is currently underway at https://bittrex.com/crowdfund/brx. The Bitcoin Halving Event, which had numerous predictions of price drops and hashrate drops, had neither occur with both relatively constant. Blockchain technology company SolidX Partners has announced that it has filed a registration statement with the Securities and Exchange Commission (SEC) for the proposed launch of the SolidX Bitcoin Trust, a new Exchange-Traded Fund (ETF) for traditional investors. ThoughtMachine, a company led by ex-Google engineer Paul Taylor, is building a modern, fully integrated, blockchain-based banking operating system called Vault OS. Joon Ian gave a really good overview of the upcoming Ethereum hard fork. CoinDesk profiles ongoing efforts to return funds to investors whose holdings were compromised in the demise of The DAO. To help prevent another DAO collapse smart contract startup Legalese won a String Labs grant to build a coding language for law. Pascal Gauthier explains why some mining pool mines empty blocks.